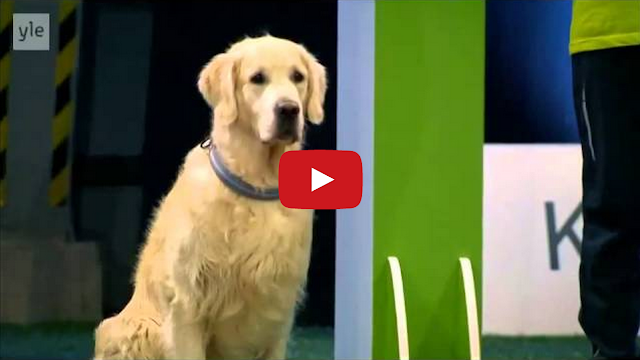 This lovable golden retriever competing in a dog obedience competition in Finland clearly has his priorities in order. You can really see his thought process. "Okay, get ready, don't f**k this up, she'll tell you to go and you'll go...come on, you trained for this..ALRIGHT GO.."
"..OH BALL, OH FOOD, TOY, FOOD, THIS IS A MAGICAL ROAD OF GOODIES." hysterical! you go pooch! toys and food rock!